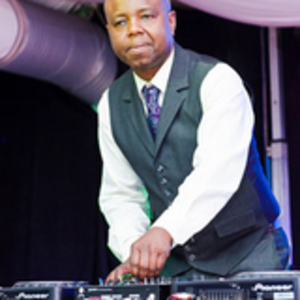 DJ Willy is originally from Surinam ( South America) and that's where he began his career as a DJ spinning disco, house, R&B and Latin music as early as in 1980. The club where he worked for almost 8 years became the most popular one in the country and still is. In 1992 Willy moved to Holland and one year later he was asked to work for the famous then Latin Club Margarita's in Amsterdam, where he was spinning mainly salsa and R&B. As salsa was getting very popular in the 90s, he was invited to play music at many salsa parties in Amsterdam and other neighbouring cities. At present, DJ Willy is still a favorite DJ at all the major salsa clubs and events all over Holland and Belgium. Willy has performed as a DJ next to all the great salsa artists who came to Holland like Grupo Niche, Guyacan, Soneros del Barrio, Jimmy Bosch, Issac Delgado, Manolito y su Trabuco, Spanish Harlem Orchestra, José Alberto El Canario and the greatest till now Eddie Palmieri. He has also been spinning at international congresses in Amsterdam, Haarlem, Barcelona, Paris, Brussels, Sofia, Dusseldorf, Bucharest, Paramaribo ( Salsuri ), in salsaclubs in Kopenhagen, Munich and other citys in Europe, and at one of the biggest outdoor festivals in Europe, the Antiliaanse Feesten at Hoogstraten, Belgium. In october 2008 he will perform at the 1st Greek Salsafestival in Athens. His favourite artists are Ray Baretto, Eddie Palmieri, Sonora Ponceña, El Gran Combo, Mongo Santa Maria, Victor Manuelle, Issac Delgado, Los Van Van, Joe Cuba, Cheo Feliciano, Hector Lavoe, Raphy Leavitt and many more. Willy is besides Salsa-Deejay also allround and is always a good choice for your birthday-, company- or discoparty.